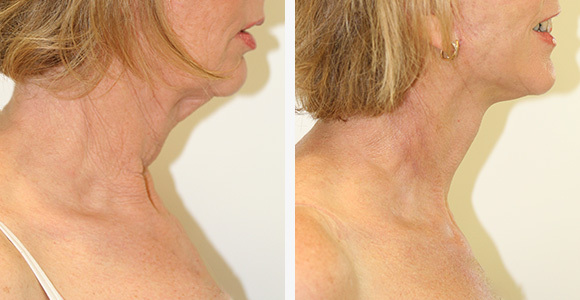 Sagging of the skin of the neck as a result of ageing or weight loss can be corrected with a neck lift. 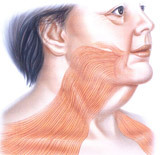 The neck and jaw line are shaped by the platysma muscle. 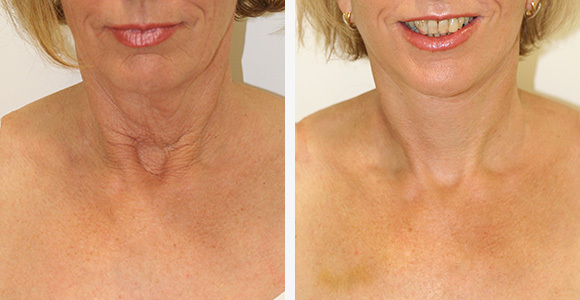 There are a number of different surgical techniques to address the neck depending on the type of problem the patient would like corrected. A neck lift aims to tighten loose skin, remove excess fat, reduce a double chin, define the jaw line, reduce a “turkey gobbler” appearance. involves looking at the anatomy of the patient’s neck and determining the best operation to correct the problem. Sometimes other procedures will be recommended to enhance the outcome of the proposed surgery such as eyelid surgery, facelift and chin augmentation. to the neck usually involves tightening the platysma muscle or supporting it with sutures and is performed under general anaesthetic. It can be combined with liposuction. The skin may also need to be tightened and so there will be incisions that go just in front and behind the ear. A drain is usually inserted to remove any excess fluid Padding and a bandage are then applied at the end of the procedure. patients may be able to go home the same day but often stay in hospital for 1 night. The padding and bandage placed on at the time of operation will be removed in 2-3 days. The patient will then wear a supportive elastic bandage. The patient should avoid strenuous activities for 3 weeks including excessive head turning. Sutures are removed in 5-7 days.